A while ago I saw the cutest pin cushion on Pinterest. 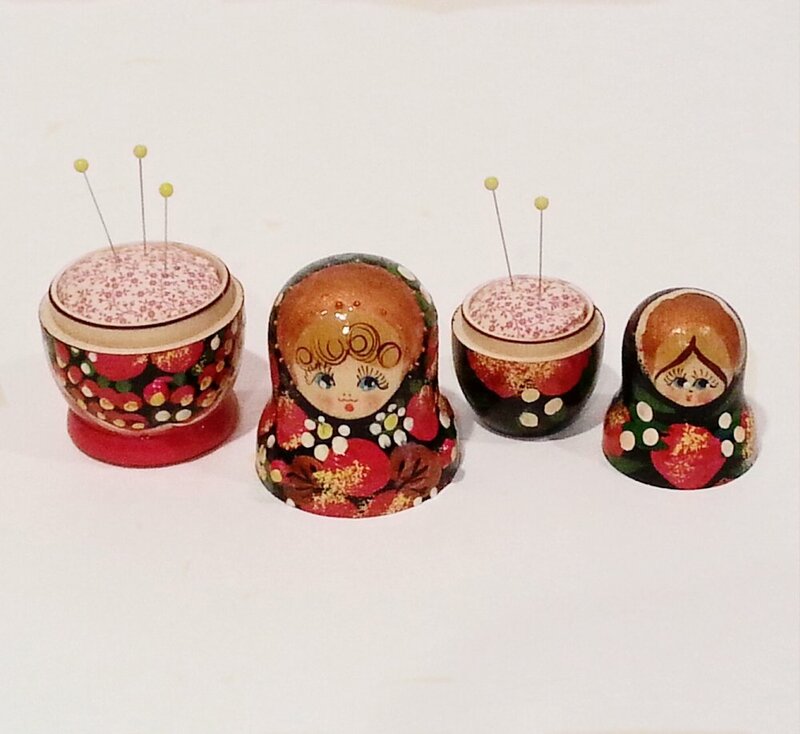 It was a Matroyshka doll (a Russian nesting doll) that had been turned into a pin cushion, and I was in love the moment I saw it. Making my own version has been on my to-do list for a while, and this week I finally did it. Here's a quick tutorial on how I made mine so you can do the same! 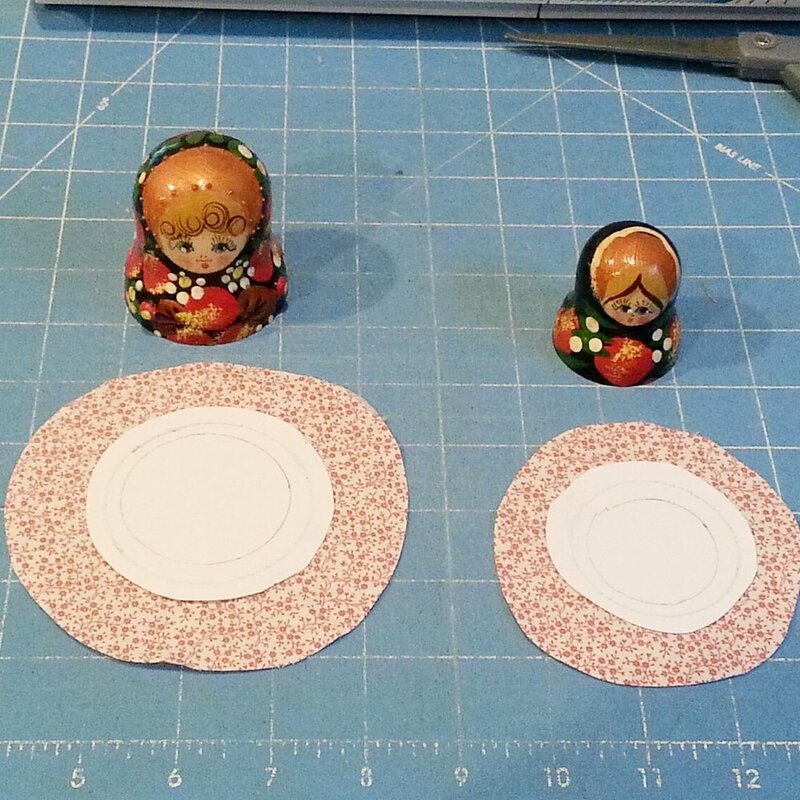 On a piece of paper, trace the smallest circle of the bottom half of your Matroyshka doll. This will work as a guide for how large the top of your cushion will be. 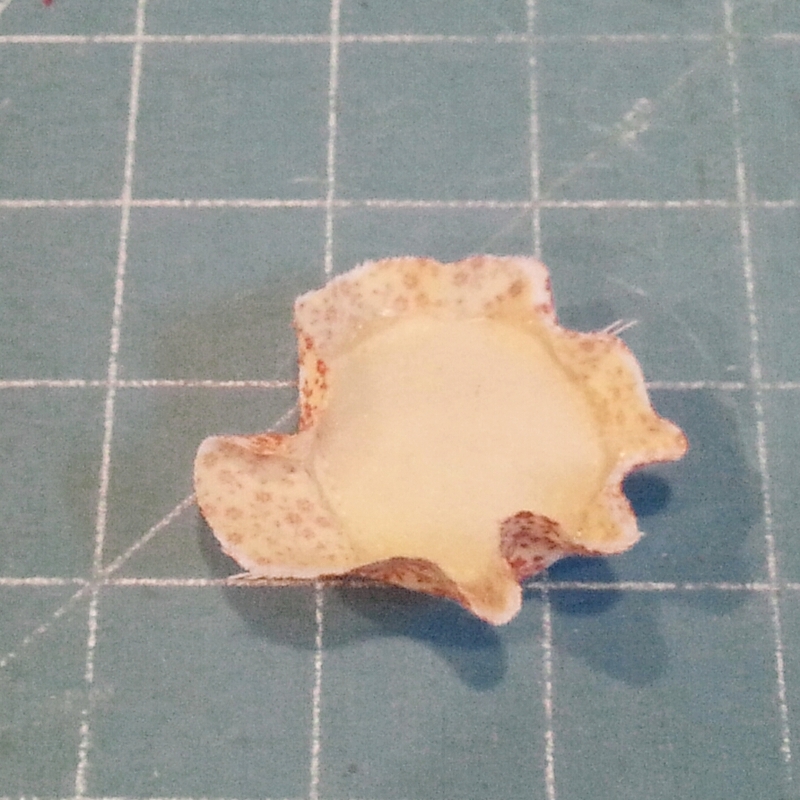 Cut out the circle and pin it onto a larger scrap of batting. If you can have several layers of batting, even better! More than one layer will help the top of your pincushion to "bubble" up, I used 3 layers. Using the paper circle as a guide, sew the layers together on the inner circle, using small stitches. Cut the circle 2/8" outside of the stitches you made (In the picture to the right, I stitched the inner circle, and cut along the outer circle.) This is the top of your pin cushion. * If you're familiar with yo-yo's you're going to make a stuffed yo-yo. If you're not familiar, follow these instructions: Cut a large circle from your fabric and place basting stitches around the edge. Lay a ball of stuffing on the center of the fabric circle and pull the basting stitches tight, bringing the fabric over and around the ball of stuffing. Adjust the amount of stuffing and the tension of the stitches until the fabric/stuffing ball fits nicely into the bottom of your doll. Skip to Step 3. Lay the batting circle on the wrong side of your fabric and cut out a circle in the fabric, giving yourself a generous "seam" allowance. Working slowly to avoid pleating, dot hot glue along the edge of the batting circle and fold the fabric over the glue, secure be lightly pressing down onto the glue. Do this all the way around the batting circle, and trim any extra fabric if there is any long enough to stick out over the edge of the batting circle. Place stuffing in the bottom of your doll. More is better in this case, I find that firm cushions are easier to to place and remove pins from so put in lots of stuffing! 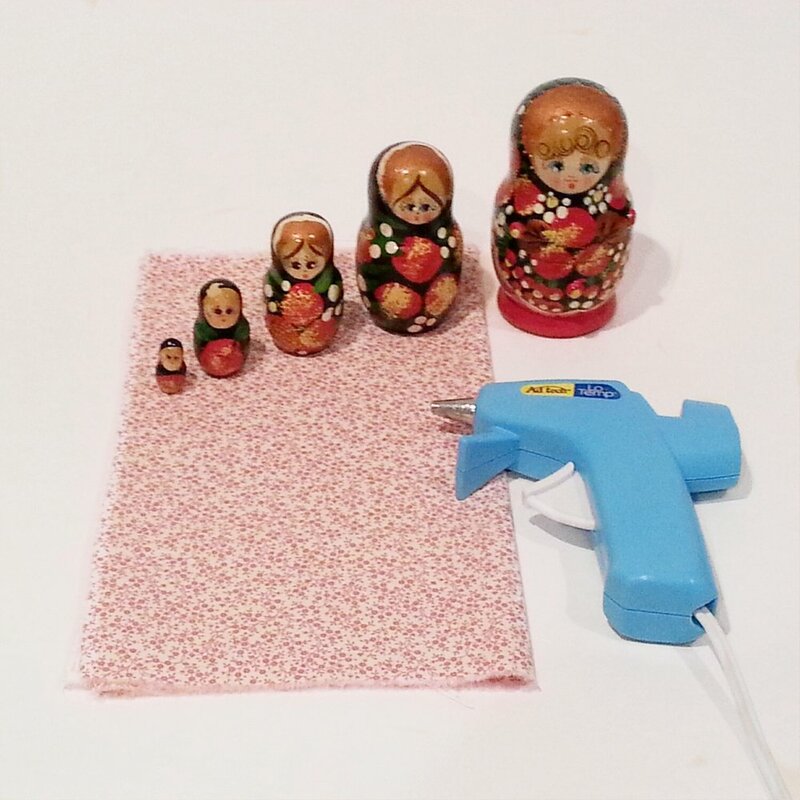 Put drops of hot glue along the rim of the doll and press the sides of the top of your pin cushion against the glue. Work slowly so that you can avoid mistakes in the first place, and you prevent stuffing from sticking to the nozzle of the glue gun. If you need, use a pin to hold back the top of your cushion when you apply the glue drops, and to push down any extra fabric that might stick up between the rim and the top of the cushion. Glue around the entire rim to attach the top of the cushion and let the glue dry.